There are ten key questions that you should consider in the process of thinking about giving away money as part of your estate. Have you already appointed someone to make medical decisions on your behalf and have you told them what you would want? 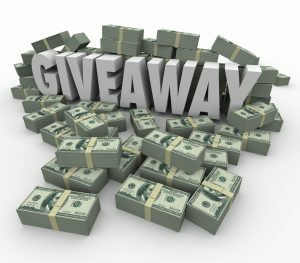 Can you afford to give away your money now? You may be able to take advantage of the annual gift tax exclusion rather than waiting till you pass away. Do you have the appropriate beneficiary listed on your life insurance and retirement account? Are you worrying about federal estate taxes unnecessarily? Should you maintain your Roth IRA for your heirs? Does your state impose an inheritance or estate tax? Are the charities you support running properly? Have you talked to your adult children about your intentions with your estate? Could you donate appreciated assets to save even more on your taxes? These are just a sampling of the questions that you should walk through before scheduling a consultation with a knowledgeable estate planning attorney.